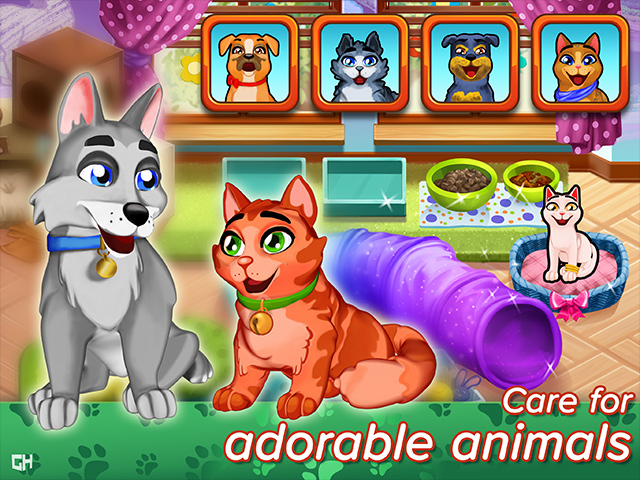 Show off your skills as an animal doctor in Dr. Cares latest adventure! 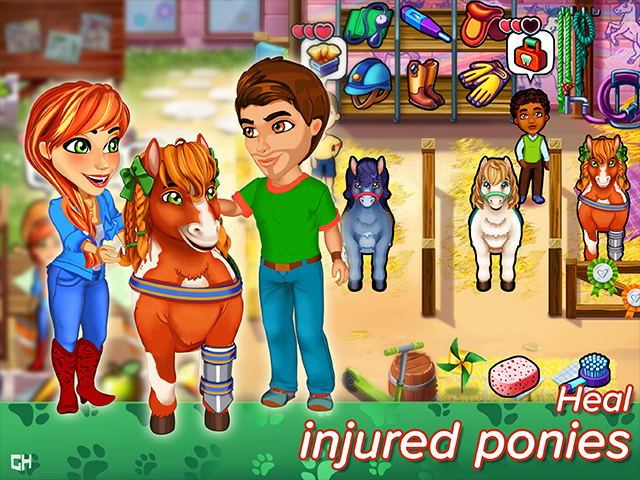 This time, there’s more than just puppies and kitties that need your help, as you turn your attention to ponies, and even dolphins, along with an assortment of wild animals around Snuggford. 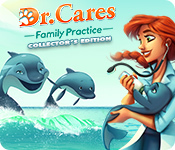 Dr. Cares: Family Practice Collector's Edition is rated 4.1 out of 5 by 16. Rated 5 out of 5 by Wildflower27 from LOVE this series!! Next one please! Excellent storyline, graphics, gameplay, music and appropriate gameplay for any age. The developers have done an excellent job with storyline choices and overall format of the game. I always look forward to the release of the next one. Worth every penny! This is a winner! Next one please!! Rated 5 out of 5 by AmandaLSW from Flipping Love This Game! I don't normally like giving games 5 stars because I always think there is room for improvement. Unfortunately some game series have a whole mansion full of rooms for improvement. However, I L.O.V.E. this game because of the choices you make and how they affect the whole game. PLEASE MORE DEVELOPERS PAY ATTENTION TO THIS FEATURE!!! the storyline was riveting since you contribute to it. The challenges were playable and not overly hard or easy. Graphic were ok and I did notice that sometimes there were glitches. The choices option just won my heart over all defects. Rated 5 out of 5 by beltie from Enjoyed This One Developers listened - woohoo!! Can have more than one player. Can select difficulty level. Also, not tied to social media - thank you! Graphics: are crisp and clear Music: (what I listened to) was good Game controls: a tad sluggish on the mini-games with "circles", but other than that they were responsive Good replay: to attain trophies, try different difficulty levels, and make different choices (fun and original on the latter) Enjoy getting to decorate the Pet Room Storyline: More of a "feel good" story vs a few of the past offerings. This one has a selfish somewhat amoral mother, but it isn't disrespectful like Mothers and Fathers was (that was a no buy for me based on that). Quality Control: Did a good job of ensuring bugs were vetted prior to release Two gripes regarding Trophies: 1) Trophy for 20 daily challenges - not that I'm not enjoying the game, but . . . given these are set on 24 hours, not sure I want to be tied to the game for a month. How about reducing this to 12 hours instead? 2) Newton Trophy - as the "best ending" is subjective in my opinion - don't wish to play "mind reader" to figure out what the Developers feel is the best ending. Please don't base trophies on stuff like this. Some of us TM'ers are a tad bit obsessed with getting ALL the trophies ;). Yes, I am one of those, but I'm not going to play the game 50 times to try and figure this out. P.S. Why does it take forever to get one of the first chosen pets to 10 Stars in this Series? The last one always gets to 10 Stars first?? Shouldn't they take the same time? Just curious. Due to the selection of difficulty levels, this one is suitable for all players, from beginner to expert. Really enjoyed it and looking forward to the next one. Good job!! Rated 5 out of 5 by ChrissyTWood from LOVE I played the demo, bought the game, and beat the game. This game was a lot of fun and the story is great. I love how you can make choices that impact the outcomes in the game. Replayability for this game is high because of different outcomes! About to play again! Rated 5 out of 5 by deso from Something new I love that our decision make a difference for the story! Rated 5 out of 5 by Luigifan27 from Awwww! Dolphins! A great game a must-buy. Pros:Taking care of other animals. Great Grahics Great Storyline OK:Can get boring at times. Cons:The con is that cousmers get impateit quickly. Great Game Overall. Rated 5 out of 5 by Bonnie241 from Love this game!!!! This TM game works so smoothly and transition from one thing to another is quick. The story is cute. Hope they make more of these games. Koodos to the makers! Rated 5 out of 5 by Wookiee1138 from Love it I downloaded the demo and halfway thru decided that I needed to buy the whole game. The element where you can choose what you want to do is awesome and a great, new element to introduce to a standard time management game. Rated 5 out of 5 by Jem_Jerrica_Guy from This file size is larger than some hidden object games! This indicates there is much to do: besides the regular time management gameplay, which advances the story line, there are side quests pet purchases, caring for them, and upgrading their room, and many bonus levels where you can earn extra diamonds to make those purchases. 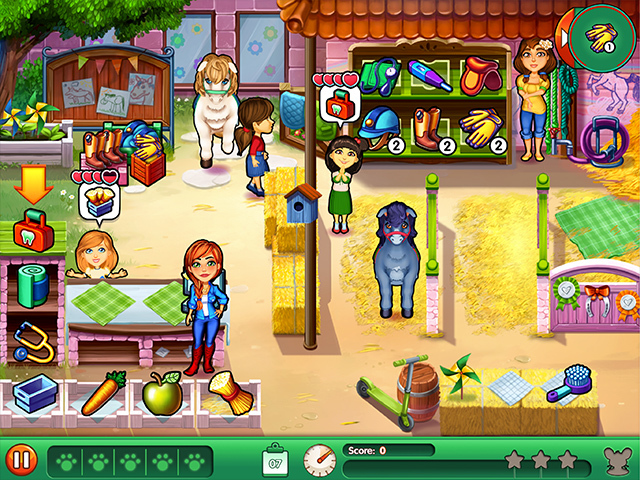 This is the first game where choices are made, and they are made by multiple characters. In some stages, you play as a difference character than before. There are awards, and in order to get all of them, you must make all the right decisions. This series, spiraling from the Delicious Emily games, is the most advanced to date. Rated 4 out of 5 by Momma_Llama from Not MORE mini-games! I love these games... and this one lives up to the challenge of being great, even adding a level of decision making that can change the story-line! BUT... they upped the amount of mini-games. Mini-games are not my thing and ruin the game in my opinion. If they can't get rid of them, can't they at least give those of us who don't care for them the option to turn them off? All in all, this game is wonderful. I know it must be difficult to write those decision making outcomes, but it would have been fun to have even more of those ... and to have the options to play the story-line (once you finished the initial game) to find out what would have happened if you'd answered some of the choices differently without having to play the whole game over again. Keep up the good work, gang! This is another good one!